Databox and Sprout Social joined forces to learn how agencies report on social media ROI including the tools they use and KPIs they track. *Editor’s note: Looking to prove the ROI of social media? Start your free trial with Sprout Social’s Agency Plan and get all the training, reports, and content that will help you further prove the ROI of Social. 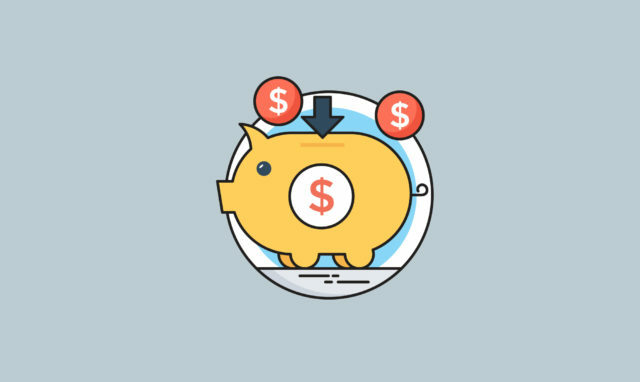 Conversions offer a logical starting point–and for many agencies surveyed, the end point–for communicating the ROI of social media marketing efforts. Conversions to a landing page. A newsletter subscription. A product signup. These are all conversion points that agencies say act as the focal point for any optimization efforts, and most importantly, the ROI conversation. How I Communicate ROI: I prove ROI by showing conversion data using Databox Databoards. Every campaign I run on social media is conversion focused, so it is much easier to prove ROI when you can point directly to leads coming in the door on a daily basis. Before we run a campaign, we establish KPIs and focus on hitting those within the time frame indicated. How I Communicate ROI: We’re all about results-driven metrics for all of our digital campaigns–lead generation, conversion rate into customers, and ROI. That’s why we’ve been really impressed to learn about the core functionality provided by a company we partner with called RevTrax. RevTrax provides serialized barcodes that you can use in your social media marketing, advocacy, and affiliate campaigns, and even paid search. These codes capture data from the first click to the final offer redemption, even in-store purchases. This tech allows us to see the true ROI of our campaigns and optimize social media (and other channels) around the best-converting ads. Then, of course, we can apply these learnings to other channels. How I Communicate ROI: Our clients know that social media is only a small piece of the marketing lifecycle. We use HubSpot to identify when social media is the first touchpoint for leads and website visitors. We can then provide a personalized experience to those customers on the platform(s) they’re most engaged. Our clients appreciate that we focus on social influence rather than impressions and follower growth. They see how it amplifies their marketing efforts and generates sustainable progress toward their business goals. How I Communicate ROI: Unless a company understands the overall long-term value of social media marketing, it can initially be a challenge to prove ROI when clients want immediate results. First, I explain the excellent value they get from social media marketing compared to alternatives like pricey television commercials, radio ads, billboards, print advertisements, field marketing campaigns, and even Google AdWords. Then I discuss the measurable data that they receive from accounts and ads on Facebook, Twitter, Instagram, LinkedIn, etc., that they don’t get from traditional media channels. Finally, I advise utilizing trackable URLs to custom landing pages to effectively track conversions such as sales (obviously), ebook / white paper downloads, email newsletter signups, app downloads, and other KPIs with a defined value. Utilizing tools like Google Analytics and their Campaign URL Builder is effective and free. How I Communicate ROI: The most simple way is to show the e-commerce value by tying it into analytics. Another way we do it is through coupon codes via promotions when clicks aren’t available like Instagram influencer campaigns. We also run cross-device tracking so we can help to take desktop heavy conversion sites and track people who start on mobile and change to shop. This takes a bit more coding and uses databases instead of cookies and coupons. How I Communicate ROI: We use a combination of statistics from several social media publishing tools. We also use Google Analytics to show our clients where their traffic is coming from. We use social media to primarily collect leads and never sell. The landing pages and forms are produced specifically for social media platforms. This makes it easy to track which platform sends us the most traffic. It’s a hard sell until our clients see the results of a test campaign. There aren’t a truckload of leads, but they are targeted and free. How I Communicate ROI: Social media ROI is one of the hardest parameters to prove in online marketing. It’s hard to distinguish how much revenue an Instagram post published last week contributed to clients’ bottom line. To prove ROI, we use Google Analytics and CoSchedule by setting up tracking UTM tags on social media messages. Then, we create a custom reporting in Google Analytics, and as a final step, we set goals in Google Analytics to track ROI. A generated report shows all the conversions and the value that we made through people clicking on your intended link. Using reporting templates provided by CoSchedule we then prove that social media marketing is paying off. – Site usage & engagement from social traffic (measure bounce rate, average page visits, and session duration). – Earned brand mentions from other sites and online publications (which you can track using Google Alerts and Ahrefs). From there, the simplest tool to calculate the ROI is Google Analytics. Track the conversions/signups the website is getting through social channels. Multiply that by the value of each signup and then explain that to the clients. The explaining part is the trickiest, but you’ll get better with time. How I Communicate ROI: We prove the ROI of our social media efforts for clients by making sure we track everything back to the original source and include attribution when it’s part of the conversion path for a sale. The primary tools we use for this include HubSpot, CallRail (for call tracking), and a customized setup using Google Analytics. For social media marketing to be effective, you have to clearly have your communication and conversion path laid out as well as a clear understanding of your channel performance. This includes metrics like closing ratio by social platform, follow back rate, CTR on all assets that are a part of the conversion path for that channel and, of course, a close relationship with the sales team on what assets and communication are most effective. How I Communicate ROI: We start by using the S.M.A.R.T goal framework—goals that are specific, measurable, attainable, relevant, and timely. Most of our clients come to us needing leads or sales. If the business goals are brand awareness or increased traffic, you just need to make sure the goal is measurable. When it comes to leads or sales, measuring ROI is relatively easy with today’s tools. Conversion tracking snippets make it easy to see how much a lead or sale is costing you. We make sure this information is front and center by leveraging Databox, Zapier, and Unbounce. Whenever a lead submission form is filled out, we send an SMS message to the appropriate person. Quicker response rates usually translate to higher closing rates for the sales team. We then send out automated weekly Databox reports showing cost per conversion and other important KPIs that prove the ROI is there. Gaining visibility and exposure are the main benefits of social media. But, you don’t want to just build awareness. What you want is to generate leads, improve conversions, and ultimately generate sales. For that, you need to make sure the traffic you get from social media is targeted and qualified. Then, you need to find out if those visitors convert into leads and, finally, if those leads convert into sales. First, I recommend installing Google Analytics on your website if it isn’t done already. Alternatively, you could use Kissmetrics if you’re willing to spend a little. Google Analytics is great, comprehensive, and free. Then, you need to create UTMs for each page of your website and for each channel where you’re going to share/promote those pages. From here, you’ll be able to track on Google Analytics precisely where the traffic comes from. You’ll also want to create conversion goals in Google Analytics. For instance, a goal would be: a visitor signing up for newsletter or visitor clicking ‘purchase’ button, etc. Now you’ll see which posts generate traffic, and more importantly, conversions right in Google Analytics. Finally, you can check how much time and money you spent on each social media channel and how much revenue you made. Eventually, this will be easy to calculate the ROI of each social media channel. How I Communicate ROI: We’re very focused on our client’s goal conversion, whether it be sales or inquiries, so measuring ROI on social media marketing (and every other channel) is a must. We find that tracking assisted conversions in Google Analytics provides a strong measure of value for social media. The nature of social media marketing tends to be that it can drive initial interest but not strong immediate conversion compared to search. Tracking assisted conversions allows you to attribute where social media featured on the customer journey, even if it didn’t lead to the final conversion. How I Communicate ROI: Any time the customer’s journey of purchase is long, we break down the journey into smaller chunks. For instance: visits to an important page, starting a chat, downloading an e-book, etc. All of these actions can be measured perfectly fine in Google Analytics, HubSpot, etc. It is important to communicate that Social Media takes time. Having 100 real followers will not give you the same benefits as having 1000 real followers. How I Communicate ROI: It should be pretty easy to know whether your social efforts are driving qualified leads if you have good visibility into your marketing funnel. Properly tagging social attribution will help you understand that traffic’s digital experience on your website, and whether those visitors turned into leads, MQLs, SQLS, and eventually customers. Other preliminary metrics that might be useful to evaluate from social leads include number of pages visited and time on site. From there, you can close the loop and look at customer lifetime value or customer retention, depending on the type of business, and attribute a certain qualitative value to customers who initially came to your site from social efforts. This no different for social media. If you know that 50% of people who download your offer become customers, then you can calculate the monetary value that offer generates per download. Once you have clearly defined the revenue-generating value of an activity, you now have a clear goal and can define a metric you wish to achieve. Google Analytics is a simple solution for measuring conversions. An easy way to do this is to create a thank you page for each specific type of conversion. You then create a goal of reaching the thank you page in Google Analytics. You can also look at Multi-Channel Funnels under Conversions. This can be drilled down under Assisted Conversions. This method of measurement allows you determine which social platforms generate the most revenue. You can amplify results by investing in high performing channels. How I Communicate ROI: We use HubSpot’s Campaign reporting tools to track the source of every contact in our database so that we know which social networks are generating the most contacts, leads, and sales. We can then use Databox to create custom dashboards that tie into CRM and financial software such as Quickbooks to show our clients how their social media efforts are turning into revenue. We focus on new contacts created, new conversions, and contacts who turned into customers, both total numbers and the percentage that move to each stage of the process. Our goal is to show a return on investment for all of our efforts, including social media. How I Communicate ROI: We use a mix of HubSpot tracking and the social media platforms conversion tracking to calculate ROI. We often put a large focus on cost per conversion for clients as they know how much each new contact is worth. Conversion rate is often more valuable to us as we can see how it compares to other sources such as organic or paid search. How I Communicate ROI: Our main KPIs when reporting to clients are traffic, leads, MQLs, SQLs, Opportunities, Customers, and Revenue from online channels. We connect Google Analytics and the HubSpot Sources Report to a custom dashboard in Databox. We report on the number of visits, leads, and conversion rate per channel to direct our time and budget to get our client even better results. With this approach, we can easily pivot and change direction if some of our assumptions about a channel were wrong. How I Communicate ROI: The main tool we use in our social media efforts is HubSpot. Through HubSpot, we are able to schedule posts to all of our social channels, and also tie all of our paid social efforts to it as well. HubSpot then is able to track every single website session, click, interaction, or lead that comes from the posts we push out or sponsor. By being able to track exactly who came in and converted from a social post, and what they converted on, we can put an ROI on the efforts. Having a list of names we can hand over to the client at the end of the month and show what they did truly helps put a value to social efforts, especially when our goal is to convert more leads. How I Communicate ROI: We primarily use Google Analytics to track ROI for our social media campaigns, focusing on conversions for sales or leads for our clients, but also on the increase of brand awareness from social media engagement. This engagement can be quantified through each client’s social media presence by how many followers and how much engagement they have. Many times we use the built-in analytics from each social media account. For example, Pinterest has very in-depth data that you cannot get from Google Analytics or from other tracking tools. How I Communicate ROI: Everything ties back to Return on Ad Spend (ROAS), and/or Cost Per Acquisition (CPA). So creating custom conversions with conversion values is always important for us. We believe in creating multiple short-term test campaigns before going all in with larger budgets, so the goals we are communicating to the client can be built on reality and we can manage expectations. We use a mix of tools for this. 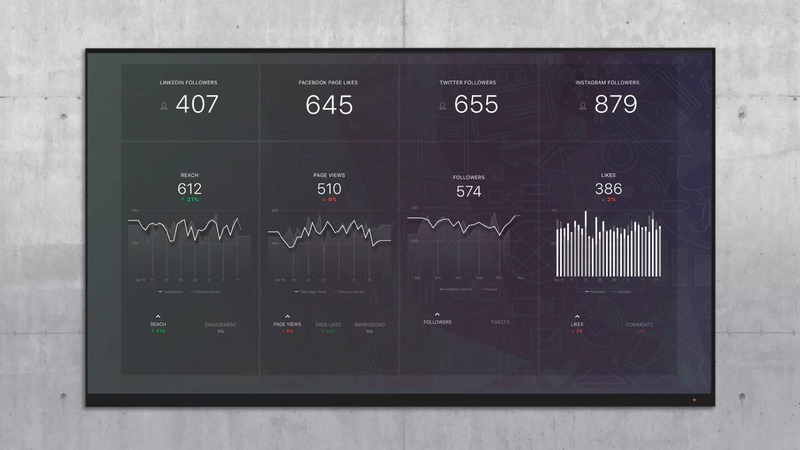 Databox is a huge one as we use the client performance dashboard to monitor real-time data through the days/weeks to make sure we are going to meet the goals that have been communicated. We also make sure to have closed-loop reporting set up within the clients CRM so we are able to gauge the quality of leads and how the sales team is able to work those leads. How I Communicate ROI: I use Google Analytics Multi-Channel Attribution to communicate ROI. We try to create an ROI benchmark for visitor acquisition (both new and recurring) in addition to LTV of a new customer. If you know those numbers, the value of social media marketing is usually clear, especially when you can raise productivity with tools like Sprout Social. Additionally, we actively harvest social media data to inform organic & paid media creation & outreach. Between the carrot (low investment, high returns) and the stick (the loss/gain of customer data)–the ROI of social media marketing is straightforward to prove. How I Communicate ROI: We’re a mobile marketing agency heavily focused on performance marketing. Social media such as Facebook, Instagram, or Snapchat are the best channels for mobile app installs because of their targeting capabilities. For ROI calculation, we use own marketing analytics tool called ROY which is aggregating data from ad networks and attribution partners such as Appsflyer or Adjust. Next, we combine the data together and transform them into tables which are then visualized and analyzed on daily basis in a data visualization software. Our ROI prediction uses historical purchase data coming from in-app purchases or subscription for a specific platform (iOS/Android) and channel (FB/Adwords/Snapchat…) so we’re able to predict the long-term ROI after few days with a fairly good level of accuracy. Each business has a specific lookback window to analyze campaign profitability and also the desired level of ROI. Some clients are happy with 80% ROI as they believe organic traffic generated from paid installs brings additional revenue, but some clients go even after 150% ROI. How I Communicate ROI: ROI is becoming increasingly more difficult to show with organic social media marketing alone. We always suggest to our clients that they allow us to add paid ads into the mix. This opens them up to a larger audience, more immediate reach, and allows us to do better tracking of key metrics like conversion rates and cost per new lead. The number and quality of the leads we generate ties directly back to ROI. Some of our favorite responses included those from agencies that had their own “secret sauce” for communicating the ROI of their social media marketing efforts. The beauty of surveying so many different agencies with varying specialties is hearing the myriad of ways that they go about finding the right data point to prove success. Here are just some of the custom ways that agencies prove the value of their social media strategy. How I Communicate ROI: We use Sprout Social’s reports along with some in-house secret sauce. The metrics we focus on are different for every client, they vary based on business goals. How I Communicate ROI: I hate the questions on ROI connected to social media because it usually means the person asking about it considers social to be similar to advertising in terms of quick return. While social media marketing must indeed prove a return on its investment, this takes time, patience, and an understanding of how consumers on these platforms interact with brands. When it comes to proving ROI from a social media marketing campaign, it comes down to understanding and pinpointing the desired actions that you’re looking for your social media followers to be taking that will ultimately lead to a sale. For some, that could be e-commerce purchases while for others it could be newsletter subscriptions. Once you have nailed down what those actions are, it really just comes down to tracking whether or not they’re being taken. This is where having a solid tracking system that can connect the dots between social media marketing activity and your followers’ actions that lead to sales. Within our agency, we utilize HubSpot’s social media publishing and analytics tools to help us understand how our activity is influencing sales generation actions through the analysis of things like follower count, post reach, post engagement, and website visits and conversions from those channels. Ultimately, it’s easy to track whether or not social media is generating ROI but it’s harder to build an engaged community on those channels to drive the results needed to ROI your efforts. Social media marketing takes time when you’re starting from scratch and can easily turn sour if you focus initially on generating bottom line results instead of finding successes through connecting with your audience. How I Communicate ROI: There are ROI calculators and the usual social metrics that could give you the dollars and cents of your marketing effort, but the truth is there is a lot that social media can do for B2B that is not easily measured such as brand awareness, or measuring the crossover between someone engaging on social then coming back to your site via direct or search. Social media is one cog in a digital marketing machine that all works together to increase traffic and drive leads down the funnel. I frequently use marketing automation software that allows my team to schedule messages, engage, and stay on top of trends. I wouldn’t strongly rely on it as a significant source of traffic or leads, but a must-have part of your digital marketing machine. How I Communicate ROI: When it comes to sharing any type of social media metrics, I count on internal social media analytics tools (Facebook, Instagram, Pinterest, etc. have this functionality built-in) as well as dashboards I built on Cyfe. I also use tools like Google Analytics and their UTM codes to tie social back to ROI. Proving ROI comes down to the specific KPIs discussed with clients. These are often tied to a conversion activity: website visits, newsletter signups, or sales of products and services. Google’s UTM codes/Google Analytics are especially helpful in showing the connection between social media and conversions. How I Communicate ROI: The proof of the pudding is in the eating they say! In my experience as an agency, you can only expect your clients to understand and accept the hard facts and data that they can physically see, either via a report or their own incoming leads, etc. To expect clients to believe or understand all the wooly facts that we, as experts (and rightly so) know just will not cut it with them. Personally, I use a combination of posting tools such as Sprout Social and Google Data Studio to present actual live analytics to clients and then a separate dashboard to tie all this data to their own business goals. Also, before I start any work for clients we make sure we understand how they will measure our success which we have found to be extremely valuable because when you know this, it makes it so much easier to present the right data to prove your worth and their gain. I use the following metrics to measure ongoing social campaigns. How I Communicate ROI: We prove the ROI by discussing which social media marketing activities should be focused on; Having relevant KPI’s for each; Then achievement of results + meeting of goals, per the client’s own specifications. How I Communicate ROI: HubSpot allows me to tie social media marketing efforts back to client goals, and the transparency around what particular channel (and even what campaign) drove visits, leads, and customers for any given time period is incredibly valuable. Drilling into which social platform brings in the most site visits, leads, and customers is key. Google Analytics is another great tool for seeing what social platforms account for what percentage of sales (particularly useful for ecommerce clients). I also use RivalIQ (integrated with HubSpot) to dig deeper into Instagram metrics, which helps me know what to double down on. While we’re able to tie social efforts back to ROI and business objectives, I always keep in mind that social media is just one piece of the marketing puzzle. A customer might have come to the website through a Google search, downloaded a form, followed you on Twitter, been tagged by a friend on your company’s Facebook video, and then commented on an Instagram post before reaching out to sales through the Contact Us page. Social media bleeds into all aspects of the buyer’s journey. Qualitative metrics like building a strong brand and brand awareness can also be difficult to measure, and while having a strong brand certainly generates results, it’s hard to put a number to that. How I Communicate ROI: Start with the end in mind–this bit of advice never goes out of style. When I work with my clients, we set up the numbers that will mean success and the timeframe for us to achieve them before we begin work. Different companies and strategies are tracked in different ways. Paid media is easy to show the success of but influencer marketing and organic social can also show results if you set up measurement before you start. How I Communicate ROI: HubSpot and Google Analytics. Demonstrating the source of a lead from a specific social media platform/campaign, and being able to track that lead across the sales funnel to a paying customer. How I Communicate ROI: Successfully proving ROI is only possible by looking at business or campaign objectives at the start. 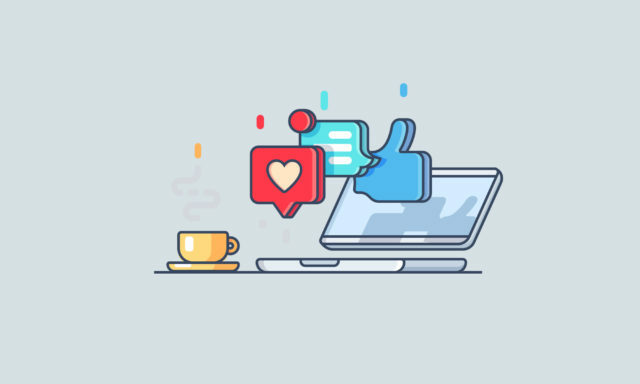 Social and digital media give consumers a platform where they can give real feedback about what they’re reading or seeing, and conversely, companies can also understand what kind of content creates conversations, drives traffic back to a website, or even results in sales or donated funds. Every piece of feedback–whether it’s a like, comment, click or purchase–gives companies and organizations valuable insight as to who their audiences are, what captures their attention, what repels them, and what drives them to action. The data has always existed, but now we have the ability to read it. And if the data is there, it’s our responsibility as professionals to take that data and inform our campaigns and strategies with it to be better ensure success. While many agencies focus on the on-site metrics like conversions and sales to communicate the ROI of their social media marketing efforts, others use engagement indicators from the posts and/or ads themselves to communicate the value of the overall strategy. Impressions, net new followers, engagement rate, link clicks–these are only some of the social metrics agencies are using to report on the success of their efforts. How I Communicate ROI: When proving the ROI of social media efforts, we look at a wide range of metrics, from likes and followers to engagement metrics such as comments, shares, and clicks. In terms of tools, we use a combination of Databox and HubSpot to report on social media efforts. HubSpot’s social media tool is great because it allows you to easily tie your social efforts through first-touch attribution back to business objectives like generating leads and increasing revenue. This is great because you can see that a lead or a customer might’ve found out about you or signed up for an offer through one of your social media posts. Databox is also a great tool for social media reporting because it allows you to create a dashboard of important metrics from all your different social channels. So not only can you see how you’ve progressed over a specific time period, but you can see how each channel has progressed over specific time periods right next to each other. We also include a section titled “top tweets” or “top posts” for our Instagram clients. How I Communicate ROI: Many social platform’s algorithms are putting the focus increasingly on authentic engagement. When we work with sales and marketing teams on connection strategies, we put a focus on making authentic connections, and candidly less on using UTM codes in links. In other words, it ain’t easy, but we have to keep trying. How I Communicate ROI: We prove the ROI of our social media efforts to clients by showing them examples of where we have been successful with other clients in similar industries, as well as explain the important role that social media plays in building trust and communication with potential customers. The tools that we use to communicate ROI include the Sprout Social reporting tools, the built-in analytics tools in the social channels themselves (Facebook, Twitter, LinkedIn, Instagram), along with Google Analytics reports. The metrics that we focus on include Impressions, Reach, Engagement, Conversions/Form Submissions, etc. We also make sure that our clients understand that social media is crucial in order to engage with customers, obtain reviews, keep up-to-date and participate in current industry news and trends and beyond. All of this is extremely important in building a relationship with potential customers, which in turn will help them achieve their business goals an objectives. 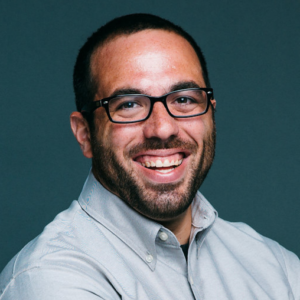 How I Communicate ROI: As a B2B inbound and ABM agency, we use a mix of organic and paid social strategies across our clients and a range of tools to assess ROI including HubSpot, Oktopost, Twitter Analytics, Facebook Analytics, and LinkedIn Analytics. Looking at organic social campaigns, main objectives for these campaigns are typically awareness and engagement. So here, we’ll look at metrics such as impressions, engagement, clicks, shares, and demographics to ensure we’re reaching the right audience. This is of particular value in social selling and ABM campaigns where we can use these metrics to see that we’re building relationships with the right buyers and accounts. Paid social campaigns (across platforms like Facebook, Linkedin, and Twitter) also offer great value for our clients, with the primary objective typically being lead generation. Cost per MQL and cost per conversion are also prime metrics to measure when considering ROI. With HubSpot as our main database, we use lists to define the number of contacts, leads and MQLs we generate from a specific paid campaign and assess cost appropriately. In addition (and depending on the campaign goals), we’ll also look at metrics such as landing page views from a particular paid campaign, to assess objectives like brand awareness. With the right tracking in place, this makes proving the ROI of our social campaigns more straightforward as we can see all information from all channels on one screen; clearly illustrating ROI and revenue per campaign. How I Communicate ROI: At Ladder, we created an internal tool called the Ladder Planner to empower our growth strategists to build and execute marketing strategies. The Planner is a suite of marketing planning tools, which include a drag-and-drop marketing plan builder (The Ladder Playbook), a 1,000+ tactic database, funnel visualization and data integration tools, and more. The Ladder Planner is where we do all our work for clients, including planning monthly marketing sprints, entering all data on every marketing experiment we run, and track and analyze the results of all the marketing tests our strategists execute, whether they’re successful, failed, or inconclusive. Every growth tactic that we select each month for our clients is always connected to an OKR (Objective and Key Results). The OKR system works by defining a few key objectives for the company, like increase our following on social media or increase the number of leads generated through social media. For each objective, we define 2-3 measurable key results; as an example, some key results for increasing our following on social media might increase our number of Facebook followers by 15% in 30 days or acquire 100 new followers by launching Facebook Page Like Ads. How I Communicate ROI: Important statistics that help us prove that our social media marketing strategy is working includes post reach–which shows how many people have seen the post–comments, and messages, which indicates interaction and interest from the audience. These statistics are contributing factors to the amount of traffic that your website receives. We present these statistics to our clients to show that our strategies help positively impact the amount of traffic that their website receives, therefore improving their brand visibility overall. How I Communicate ROI: For awareness campaigns at the top of the funnel we typically track metrics such as reach, impressions, cost per 1000 views (CPM), clicks, cost per click (CPC), goal completions, and cost per acquisition (CPA). These data points can be found directly within Facebook’s Ad Manager or Google Analytics. This data helps determine your targeting, messaging, and landing page experience. For example, if clicks are low, your creative might not be resonating with your chosen audience. If clicks are high and goal completions are low, ensure your landing page is optimized for mobile and your call to action is highly visible. Besides measuring ad-specific metrics its also important to track social metrics such as net new page likes, comments, shares/retweets/reposts, tags, video views (3-seconds, 50%, and 100% viewed), favorites, etc. These metrics help indicate how engaging or relevant your content is. Google Analytics also allows you to see how much traffic comes to your website from each social network. Want to get more granular data? UTM parameters let you track specific social media campaigns across multiple platforms. How I Communicate ROI: While it’s great to set social media objectives and execute on them, you can’t really know the effectiveness of your strategy or campaign until you’ve proven the ROI. 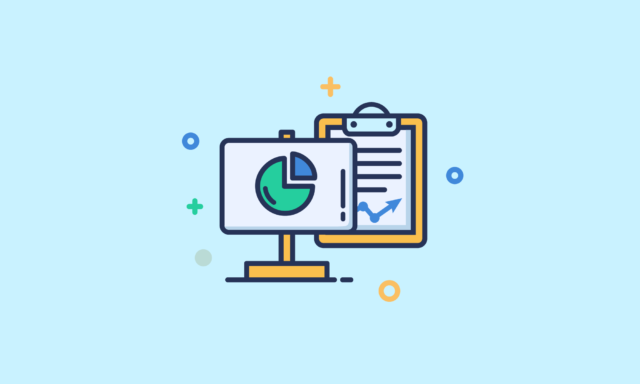 Using ‘Reports’, our customers can easily customize reports to meet their needs, depending on which type of business objectives they want to measure. How I Communicate ROI: The very first thing we talk about with new clients is goals and the associated ROI metrics. All social media marketing efforts are then reverse engineered from those goals and weekly or monthly reports are provided to ensure we’re moving the needle in the right direction. The tools we most frequently use are Sprout Social (of course), each social channel’s native analytics, and Google Analytics. The metrics we report on depend on the program but common ones include audience growth, engagement, social referral traffic, as well as response rates and times. With social ad programs, we’re also looking at click-through rates, conversion rates, cost per click, sales generated, and cost per sale. We handle analytics and optimization on a weekly basis. We report back with quarterly analytics reports to show what has happened, how we have grown, what content is working and not working, how we are going to optimize content and new suggestions for moving forward. Metrics we focus on include engagement, reach/impressions, follower growth, saved photos (on Instagram), paid ad conversions, and gaining email addresses. If one thing was made clear throughout these responses, it’s that having the right data available in real-time is key to both executing, and proving, a successful social media marketing strategy. Looking for ways to streamline all of your social media reporting in one place? Browse our gallery of free social media reporting templates.